Recently I signed up to become a regular reviewer for Shoplet.com, a great online office supply site. I was told I would be receiving some products made by Roaring Spring, a company I had never heard of but after hearing some of the product names I knew I was going to like their products. Little did I know it was going to be more than myself that liked their products, my whole family likes them now, especially the Poo Poo Paper (more on this further down). 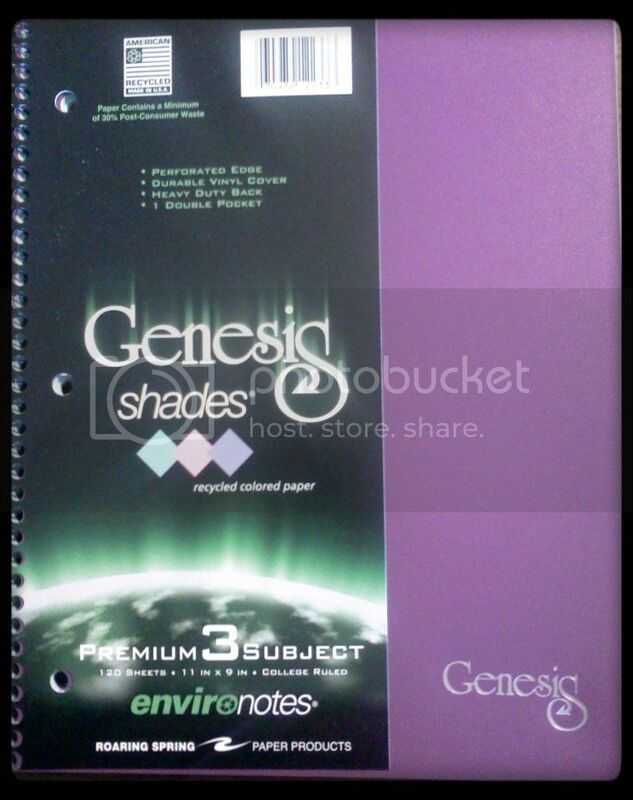 I received the Roaring Spring Genesis 3 Subject Wirebound Notebook. All 120 pages are recycled and there are 40 pages in each of the colors blue, pink and purple. I personally love that it is recycled paper and in different colors! Writing a note or letter to someone on colored paper makes it so much more fun! 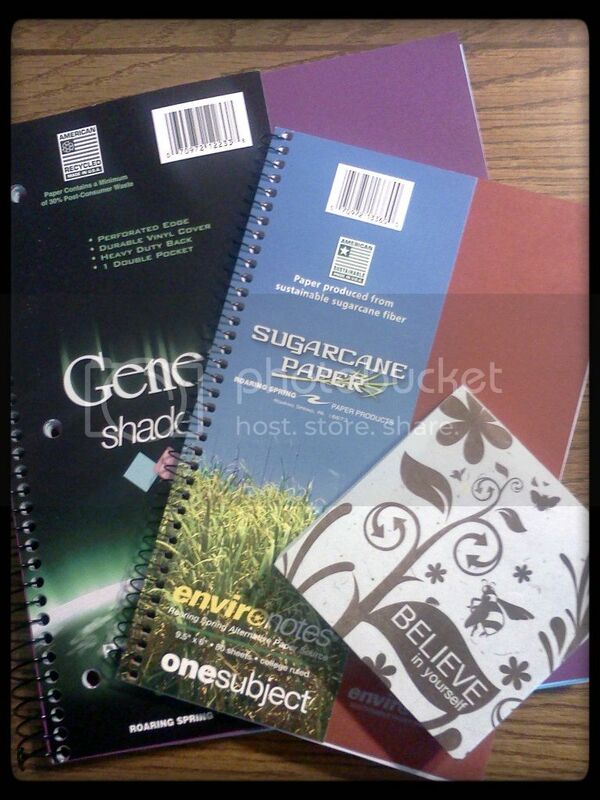 Shoplet.com carries so many other note pads and notebooks online. I also really like my Roaring Spring Environotes Sugarcane Notebook. 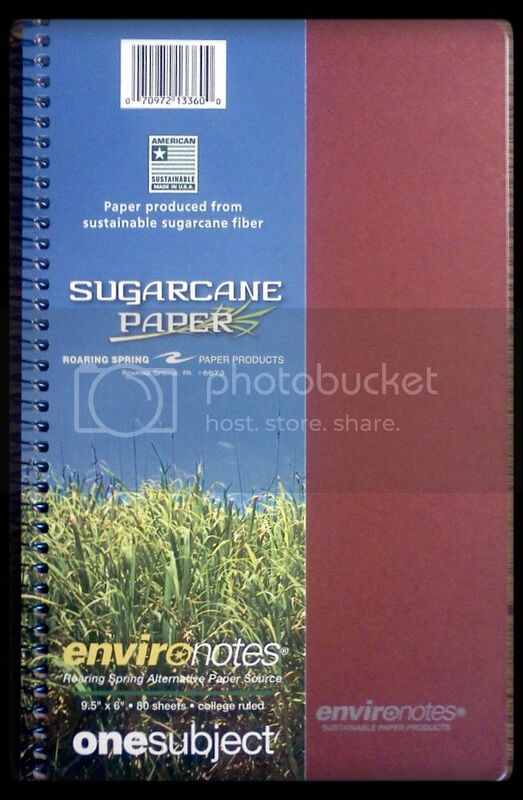 This 80 page wirebound notebook is filled with paper made from sustainable sugarcane fiber. I really like that Roaring Spring recycles and makes environmentally friendly products. Writing on the sugarcane pages felt like writing on any other regular paper, except I felt better using this and knowing a tree did not need to be cut down for my paper notebook. And the very interesting Roaring Spring Elephant PooPoo Paper. It's not everyday that you hear about paper being made from elephant poo! 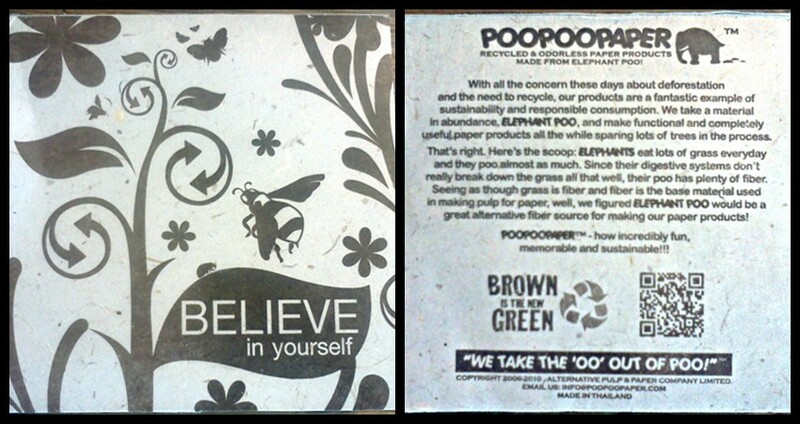 This small note pad was really 100% made from elephant poo, it is completely recycled poo and also completely odorless. I know my kids and I checked, we looked pretty silly sniffing the paper but we just had to be sure! I like the small message on the front of my pad, "Believe in yourself" it's a nice reminder to do just that. The paper was a little bit softer than regular paper but it did not change the ability to write on it. I really like the entire line of PooPooPaper that Shoplet.com carries, make sure you check it out. 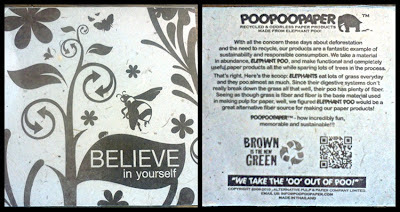 Feel free to leave me a comment with you thoughts on the poo poo paper! *Disclosure: Please note that I received product in order to conduct a review. No other monetary compensation was provided. All opinions in this post are 100% my own. Thank you Shoplet.com for another fun review.